Please note that we are full for 2019, but you are welcome to make any 2020 bookings via the ‘Booking’ tab. 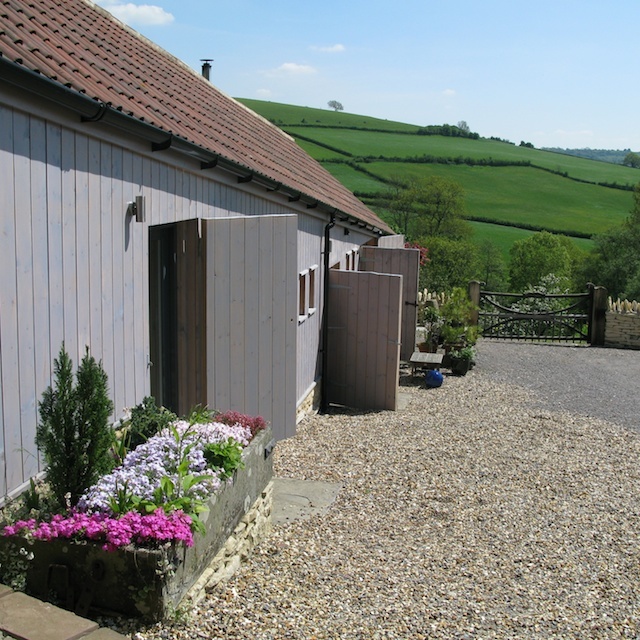 Hill Farm is open from March to September and provides Bed & Breakfast accommodation which is ideally suitable for walkers on the Cotswold Way, visitors to Bath (15 minute drive) or for people wanting to 'get away' into a rural setting. 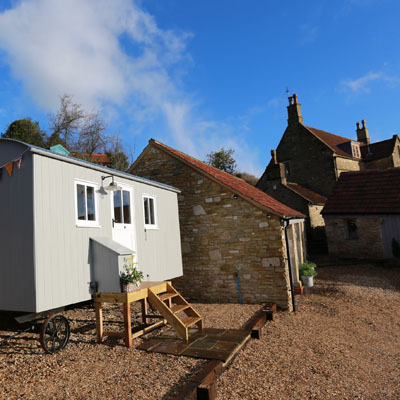 Situated a days walk, (8 miles) from Bath and within 5 steps from the Cotswold Way walking path itself, you can relax in the quiet surroundings and enjoy the stunning views across the valley. No longer a working farm, the barns were converted in 2012 to high quality accommodation and workshops. Heating and hot water are provided through eco-friendly means and a warm drying space is provided for clothes and boots. Internet /wi-fi is available throughout the accommodation. Access to a separate kitchen-diner provides guests from The Trough facilities to cook their own English breakfast, using fresh local produce provided. If preferred a continental breakfast is available. Visitors staying in the Shepherds Hut have their own kitchen area inside with the same provisions supplied. A choice of locally prepared evening meals are available and we offer picnic lunch choices too for the following day if required. Please see Food tab for more details. We can accommodate 2 people at any one time, the bed converts to double and single. If you are part of a larger group staying nearby, then we can drive you up to a local eating place for the evening so that you can all be together.